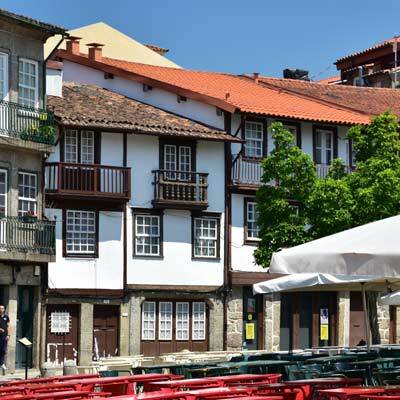 Guimaraes is a charming and historic city that makes for a fascinating day trip from Porto. 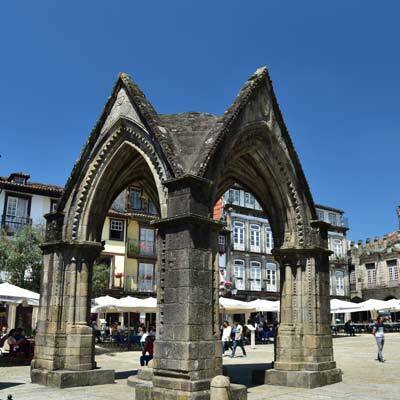 Guimaraes is regarded as the birth place of Portugal and this extensive history is reflected in the variety of national monuments and historic buildings found within the city. 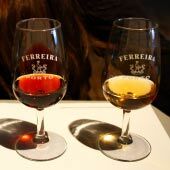 As a tourist destination, there is a lot to see and do in Guimarães and it is a highly recommend day trip for all visitors who are based in Porto. This guide will provide an introduction to Guimarães and offer links to further in-depth information. 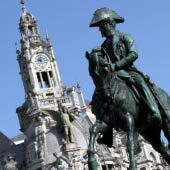 What are the highlight and major sights of Guimaraes? The charming city centre of gothic buildings, traditional houses and delightful plazas. The stunning views and hiking trails across the hills of Penha Park, which is reached via cable car. 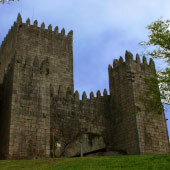 The ancient castle of Guimarães, which defended the early city from Moors and Normans attacks. The small castle is a partial ruin and stands at the top of Largo Hill. The Dukes of Braganza Palace, which was inspired by 14th century North European architecture. 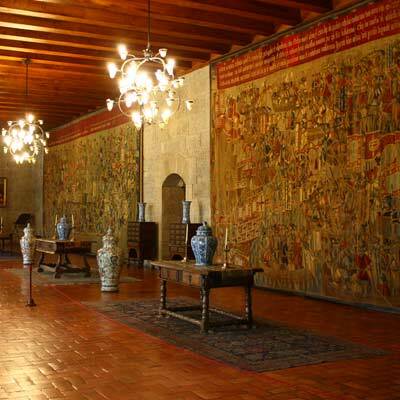 The austere interior has been restored and is filled with 17th century furniture and decorations. Guimarães is a very pretty destination and is a great example of a traditional and peaceful northern Portuguese city. Found within the compact centre are narrow cobbled streets, fine examples of medieval architecture and delightful plazas filled with open air cafes. The number of important of historic monuments was recognised by UNESCO who declared the city a World heritage site in 2001. Guimarães is more than just a historic relic; there is a buzz and purpose about the city, in part due to the large student population who attend the university. How long to spend in Guimarães? One day is sufficient to see all of the sights of the city and is often visited as a day trip. 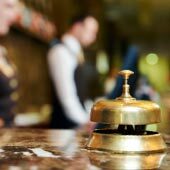 Certain visitors may wish to spend a couple of nights in the city to explore at a more leisurely pace. A second day could provide extra time to hike along the trails of Penha Park. 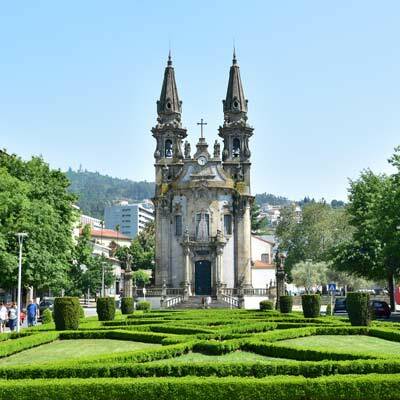 Some visitors try to cram both Guimarães and Braga in a single day, but this is too much for the independent traveller and our recommendation is a day per city. If your time is limited it is possible to visit both destinations in the same day via an organised tour, but this will be a long day and will only visit the major sights. 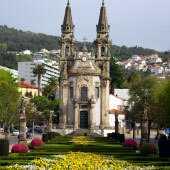 Braga is known as Portugal’s most religious city, as it contains numerous decorative and varied churches. 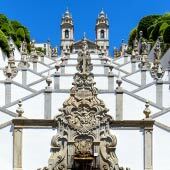 The main attraction of Braga is the Sanctuário do Bom Jesus do Monte with its Baroque stairways. Both Guimarães and Braga are popular day trips from Porto, but in our opinion Guimarães should be visited before Braga. Guimarães has more varied sights and attractions, while the sheer number of churches in Braga can become overwhelming (or even repetitive). The majority of visitors to Guimarães visit the city as a day trip, often from Porto. 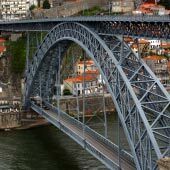 Guimarães is ideal as a day trip from Porto, as there are sufficient sights and activities to fill a full day of sightseeing and there is excellent public transport between the two cities. 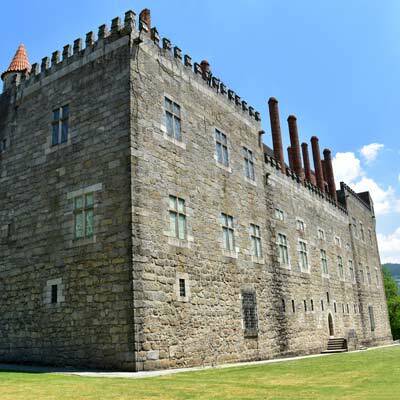 A typical day trip to Guimarães would divide the day into three parts; the historic centre, Largo Hill (Braganza Palace & the castle) and the Penha Park. 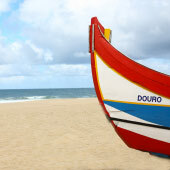 The delightful historic centre is focused around the Largo da Oliveira, the Largo República do Brasil and the Largo do Toural. Most visitors begin with this section of the city as it is closer to the train station and is the best location for lunch. 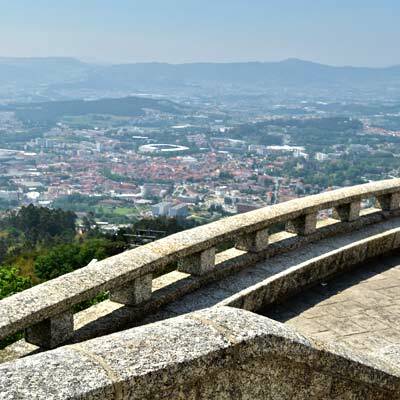 Largo Hill is to the north of the city and this area contains the most important historical monuments of Guimarães. Tourist attractions including the Castelo de Guimarães, the Braganza Palace and the Capela de São Miguel do Castelo. 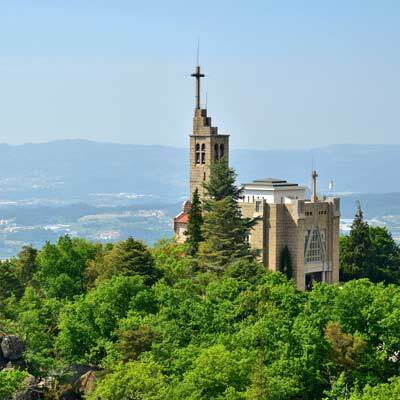 The third area of Guimarães to explore is Penha Hill, also known as Monte de Santa Catarina. The hill provides wonderful views over the city and pleasant shaded hiking routes. There is a cable car from the city centre to the top of the hill. 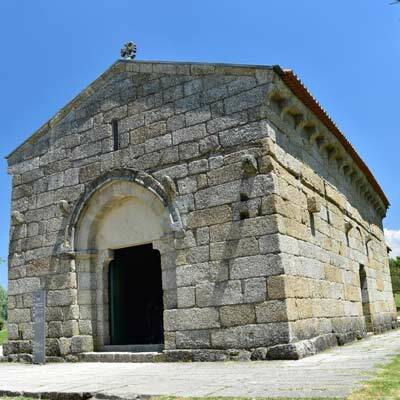 For an in-depth guide about a day trip to Guimarães please click here. 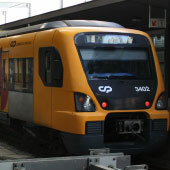 There is direct train service between Porto and Guimarães, which departs from the Sao Bento station in central Porto. 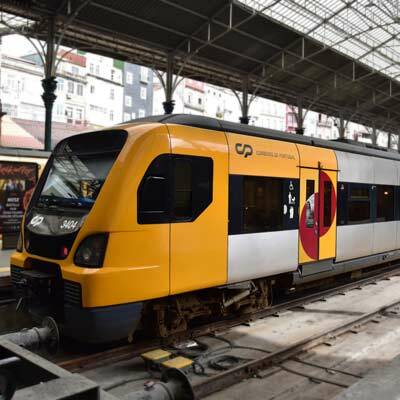 Public transport in Portugal is inexpensive and the Guimarães train is no exception, with a return ticket only costing € 6.20. The main issue is the long journey time, of 1h10min, which passes through rather bland country side. Guimarães train station is a 10-minute walk to the south of the city and for a full guide about traveling from Porto to Guimarães please see this guide. 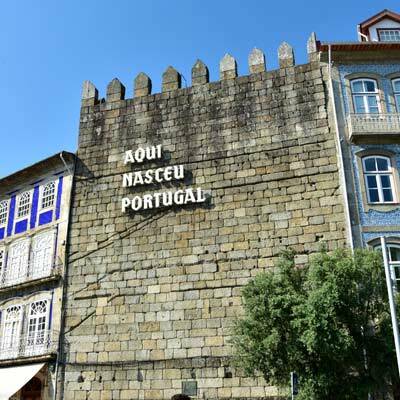 Why is Guimaraes the birth place of Portugal? The Portuguese consider Guimarães as the birth place of Portugal, as it was here that the first king of Portugal (Afonso Henriques) was born. Afonso was baptised in the ancient Igreja de São Miguel do Castelo, the small church that is situated in-front of the castle. 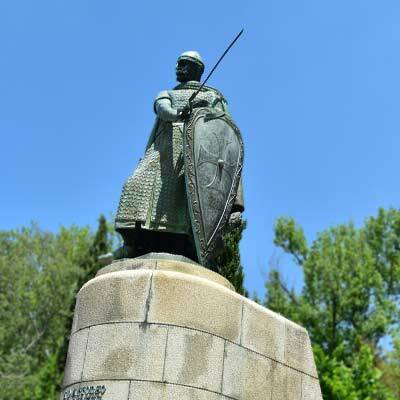 The battle which founded Portugal as an independent country was fought within the vicinity of Guimarães and was the battle of São Mamede, fought in 1146. After this victory Guimarães became the capital of the fledging country but within 20 years the capital was relocated to Coimbra due to logistic reasons. 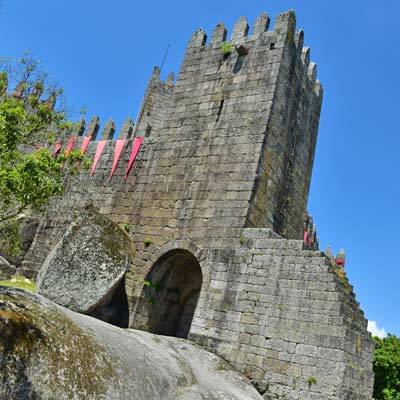 What’s the best tourist attraction of Guimarães? 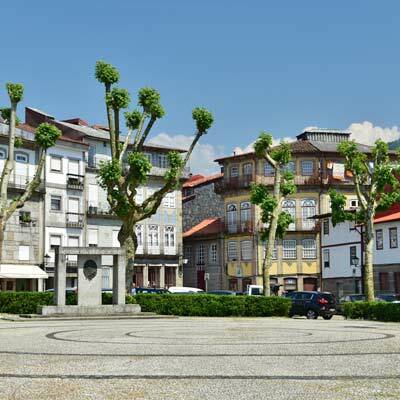 The pretty Largo da Oliveira is the best tourist attraction of Guimarães. 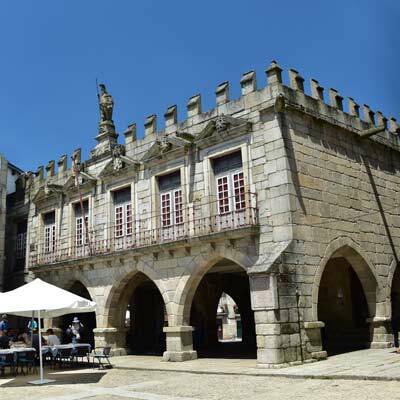 This delightful plaza contains some of the best preserved gothic architecture found in the city, and includes the old town hall, the Igreja da Colegiada and the monument to the battle of Salado. The small plaza is surrounded by traditional painted houses and is filled with open air cafes, with seating shaded by the olive tree that the plaza is named after. Guimarães is a small and compact city and all of the main tourist attractions can be walked between. 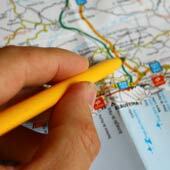 Maps of the city can be obtained from the tourist information office. 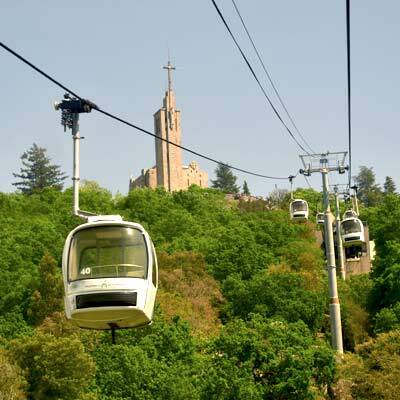 There is no need for public transport once in Guimarães, the only exception is the cable car to the top of Penha Hill. All of the streets of the old town are lined with cobbles, so may not be suitable for less mobile visitors.